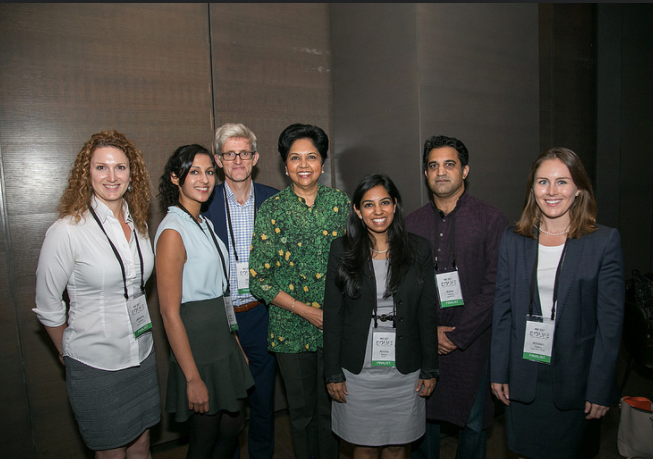 Photo caption – TruTrade director Will Galvin (third from left) with MIT Solve judging co-chair, PepsiCo CEO Indra Nooyi (center) and other Solve award winners. TruTrade was recently honored with an award from MIT Solve, a US-based initiative that champions solutions to the world’s most pressing problems through innovation and partnership. The Solve award recognizes the potential that TruTrade has for increasing incomes among smallholder farmers in Africa, particularly women, using its unique mobile-enabled trading and payments platform. The Solve Challenge, which attracted almost 960 entries from across 103 countries, culminated in a finals event in New York City in mid-September. TruTrade was chosen as one of seven companies in the Women & Technology category, and will now be supported by the MIT Solve network to further develop and scale its core activities. “This is a really exciting development for TruTrade,” said CEO Jenny Rafanomezana, “as it recognizes the clear potential we have to make a truly significant impact on rural poverty. The process of building TruTrade to where it is today has been challenging but we’re now really beginning to see success, as we build a trading record and continue to develop the mobile platform.